I love my country, but the recent scandals and negativity makes it really hard to appreciate my country. On Merdeka’s eve, I had to walk the streets with hundreds of thousands of others to fight for a free and fair election. On September 16, ironically our Malaysia day, people clad in red walked the streets under the guise of protecting a trampled dignity, but in reality, broadcasting their racism. It doesn’t help that our ministers kept silent or even openly expressed agreement to this charade. So you see, it’s really not difficult to hate being in Malaysia. But today, it’s not about that. Malaysia day signifies the formation of our country. This Malaysia day bore a greater significance to me; I was abroad during Malaysia day. It’s strange; being overseas made me miss my homeland more. Ironically on 16th September 2015, it’s raining at Kampot, Cambodia, where I was, making me miss Malaysia even more. Also, because I’m abroad, things I’ve experience made me more appreciative towards Malaysia, which in spite of all it’s flaws, is an excellent place to live in. So for Malaysia day, I’ve decided to do a tribute for Malaysia; one that entails my appreciation for Malaysia, and hopefully ignite your sense of pride in Malaysia. I’m thankful of the education system in Malaysia. Despite it’s severe shortcomings, I’m thankful that I learnt three languages in school, instead of just one. This gave me an unique skill over some of the other travellers, whom only learnt one or two languages in school. I’m also glad that I could go to a private college for RM50k, when my friend from the States have to pay at least 20k USD a year just to go to college. I’m thankful of Malaysian food. We Malaysians are most proud of our food, and rightly so. Not that the food in Cambodia is bad, but my taste buds have long been spoiled by the plethora of delicious food in Malaysia. I didn’t think much of it before or even when I was travelling, but once I sink my teeth into a nice piece of roti canai when I got back, I realize I missed this. I’m thankful of the beautiful landscape that is Malaysia. When I’m telling other people about my country, I feel pride. Pride of the natural landscape of my beautiful country; pride of my fellow countrymen and their well-renowned friendliness. I’m especially thankful that it’s so easy to tell others the essence of Malaysia, even though I’m not the best versed in the beauty of Malaysia. I’m thankful of the amnesties that I take for granted. When in Cambodia, a lot of the toilets, include the ones at guesthouses and hostels, do not have toilet paper. Imagine my shock when I search for said toilet paper to no avail after a mild case of diarrhea. Eventually I did learn to live with it, but I prefer toilet paper to be always available to me. I’m thankful at the adequateness of Malaysian police officers. No, really. Despite all the fuss about police inefficiency, at least they care about their job enough to take down your report. When I got robbed in Phnom Penh, a stationed police officer kept refuting Stacey and me with ‘no English’. Even after we acted out the whole robbery scene (a performance of which I am very proud of), he did not care enough to direct us to a police station, or even made a call to a police officer that knows English. I’m thankful of the tolerance that Malaysia used to teach me, when Malaysia was a much tolerant state. I’m thankful that Malaysia taught me that different people have different ways of doing things, and that even though we might not agree with it, we treat people with respect. Malaysia has taught me to always strive to understand the habits of others, because tolerance stems from understanding. So, you see, it’s not difficult to love Malaysia. I’m 5 days late, but I’m most thankful of the formation of Malaysia. I’m most thankful that I had the privilege to be a Malaysian. Happy Malaysia Day, my Malaysia. Oh dear… sorry to hear that you got robbed at Cambodia. I hope there's no huge damage being done but at least you're safe and sound. No damage done at all, except the guy got my phone. Ah well, things happens. Yeah, I never really truly understood why some love Malaysia so much. Now, I proud to join their ranks! Travelling really does that to you. It did a lot of things to me. Yes dear. Sometimes we are thankful when we back to our country. Only the political side I m not too proud off. Despite it all, I still love my country =) Nothing can really replace it, eh? Malaysia is a great country and we never know it until we are out of it. Totally understand what you mean. I agree in Malaysia we get to learn 3 languages, if you have money you can go for extra language classes. Malaysia also foodie heaven. I love Malaysia and proud to be Malaysian! Can't deny that everyone of us love Malaysia's FOOD, even when you're at oversea, you will missed it! 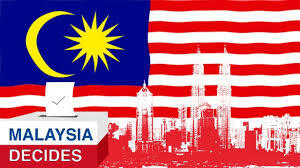 Although the economic in Malaysia is not good, but I still love Malaysia! Can't deny the best feeling when you are at your own country and your own home! Plus there are alot of good food and we are the country which speak multi language, it was such a good benefit! Proud to be malaysians! Especially I missed Malaysia's food when I travelling! I have been to few places in Malaysia and it looked so beautiful and yet to explore other few places. the future of malaysia looks bleak at the moment. sigh..
Well, I love Malaysia but not the government. This is a very beautiful place. Agree with you Lynn. Thankful everything from Malaysia and I still love my country. I think it's important to love your country. No matter where your travels take you. Yea whatever it is this is our homeland and we will always love it, even if there's one or two that try to spoil it, if we work together we can make it a better place. It is only when we're away from our homeland then we appreciate it more. I am not Malaysian but I love Malaysia.